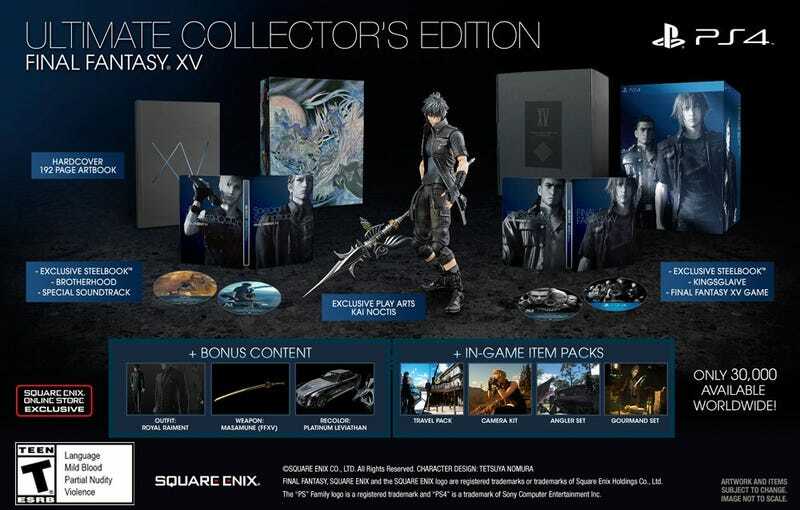 Answering questions as part of a Gamescom event, game director Hajime Tabata confirmed the fears of fans who laid down $270 for the incredibly limited version of Final Fantasy XV. While they will be getting the action figure, the art book, the steelbook case, soundtrack cds and digital content, they’ll need to shell out $25 extra for the newly-announced season pass. Look folks, you get what you pay for, and what’s presented in the images is clearly exactly $270 worth of stuff. You can’t expect a company to just throw away $25 worth of potential revenue on its most dedicated fans. God.